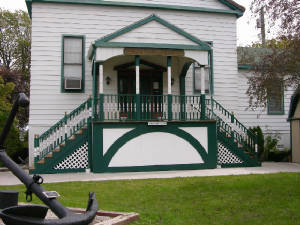 A painting of the tugboat Champion towing eight schooners from Lake Huron to Lake Erie hangs proudly at the Community Marine City Pride and Heritage Museum. Museum President Gary Beals said two information sources have differing dates on the picture, but its safe to say it was about 1880 when the artist captured the steady procession of the vessels under blue skies and a good wind. Recently, they received another artifact that reflects the prosperous shipbuilding days when Marine City workers toiled in shipyards: A scale model of the tugboat Champion. The model was donated by Diane Sharrow in memory of her father Edward Sharrow. The Champion was built in 1868 in Detroit and lost by fire on Sept. 15, 1903 at Put-in-Bay, Ohio, said Beals. The schooners being towed by her, in order, are: The Wells Burt, built in 1873 in Detroit; The Michigan, built in 1874 in Detroit; Elizabeth A. Nicholson, built in 1873 in Port Huron: James P. Joy, with the date and place built unknown; Frances Palms, built in 1868 in Marine City; Sweetheart, built 1867 in Detroit; Sunnyside, built in 1863 in an unknown location, and Emma L. Coyne, built in 1863 in Detroit. What makes this tow important to this area is that the tow has two ships built in this area, Elizabeth A. Nicholson built 1870 in Port Huron and Frances Palms built 1868 in Marine City,said Beals. Also, the painting was done by Seth Arca Whipple of New Baltimore.The painting shows the vessels off Windmill Point on the Detroit River.Sharrow donated the painting in honor of her late father, Ed Sharrow. Actually, I was born and raised in Algonac and now live in Illinois,she said,but once a muskrat always a muskrat. Her father and mother, Pat, are well known in the local area. They owned Sharrows Service in Algonac-Clay Township for 50 years. Both have passed away since, said Sharrow. Her father died not too long after winning the model of the tugboat Champion in a fundraising raffle for the Algonac-Clay Museum. He thought she was great,said Sharrow. He used to tell my boys stories about Chris-Craft and how his dad worked there during WWII on landing boats and such. My two sons thought it was a great model and asked if they could bring her home to Illinois. Around the holidays, she was reminiscing with her family and someone brought up an article in The Chicago Tribune about the Eastland disaster. Sharrow said she thought the Eastland had originally been built in Marine City. That led to comments on Algonac and Marine Citys shipbuilding days in the mid-1800s to early 1900s. Sharrow remembered that her father’s great-grandfather had drowned in the shipwreck of the George Nestor on Lake Superior in 1909. Those family and nautical stories led to our decision that the Champion really belonged somewhere where more people could enjoy her and near where she was built and worked,she said. We figured that the Algonac-Clay Museum had raffled her so perhaps the Pride and Heritage Museum in Marine City could offer her a fitting home. Both local museums are such an asset to the Downriver Area. She wasn’t aware that the expressive painting of the tugboat Champion in service had already made its home in the museum. I am glad the Museum wanted her for their collection,she said,and I am so glad that local history, including maritime history, is being preserved. Ted McGrath, a former resident of Marine City has just recently announced that there will be a big Message to Millions Bonus for his upcoming product. Marine City residents are going to make out BIG on this, you won’t want to miss. The only thing worse than discovering bugs or termites crawling in your home is finding them feeding off your beloved paintings and artifacts in your library or in a museum. Insect pests contribute towards substantial damage to museum objects, such as historic books, paintings and in structures like historic buildings. Every year, millions of dollars are spent on professional pest exterminator services, over-the-counter products and chemical pesticides. However, pests are still present in our natural environment, causing harm and spreading diseases. According to some experts, our activities in eradicating pests has led to the creation of super-pests. These pests have increased resistances to a variety of pesticides. In addition, there are rising concerns over the quality of air indoors as it is being contaminated by the presence of chemical pesticides. This may promote allergic reactions to an array of products and therefore can lead to health deterioration. The solution to these problems lies in changing the way we deal with pest problems. We need to use chemicals sparingly and insure that when used, we use the appropriate chemical in the correct manner and preferably select the least toxic chemical wherever possible. Therefore, many museums are hiring pest exterminators from reputable companies to do these jobs for them in order to ensure a pest-free environment. Pest exterminators have the training and the required aptitude to understand how to deal with pest infected situations as well as measures required to prevent pest infestation. However, a worrying number of pest control companies are not aware of the methods to eradicate pests in a museum. Some companies that don’t have the required knowledge may send a pest exterminator routinely to spray some chemicals. More often than not these exterminators are not aware of what is being sprayed and why it is being sprayed. Sometimes, a written evidence of the findings and work after each visit to the museum is not logged by the exterminators. Therefore, they have no way to track back their steps and identify the progress they have made in making the museum free of pests. 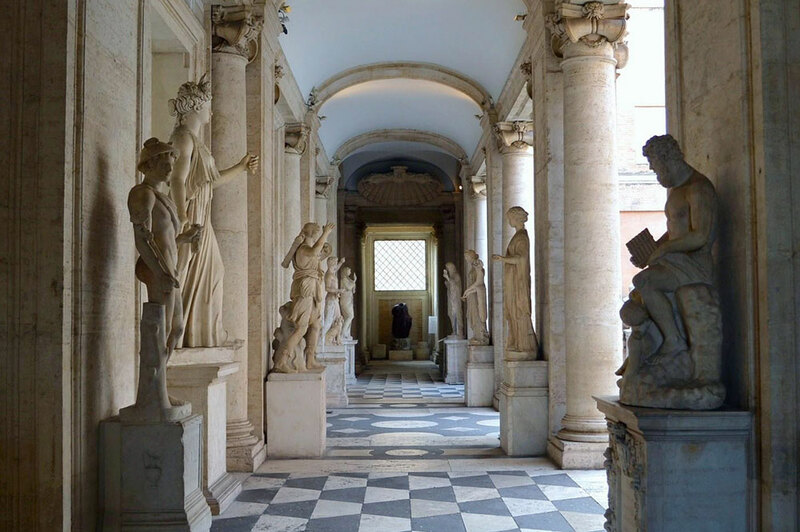 Museums should therefore hire a licensed and reputable company in order to make sure they can rely on the company’s services and trust that the pest exterminators from the company would be trained to deal with the kind of problems that are typical of such facilities. Corpus Christi pest control companies like INC Pest Control are increasingly being hired by museums on contract. This is because companies like INC Pest control have integrated pest management programs which ensure effective eradication of pests. The pest exterminators visit the museum like clockwork and undergo extensive monitoring to identify any pests that may be present. As a result, the exterminators develop the threshold level of action required. After inspection of the museum and identifying possible pests that may infest or have infested the facility, the exterminators can realistically develop strategies of control. When hired from reputable companies, the exterminators can devise strategic pest control measures through their vast understanding of the biology and life cycle of the pests involved. Finally, the exterminators can implement the control measures as an integrated program and through thorough monitoring, evaluate the success of their proposed control measures. This would require regularly logging their activities and any changes caused due to these activities to see the progression of their methods. Integrated pest management programs like these have significantly minimized pest populations in museums. Museums that hired reputable exterminators from top pest control companies in Corpus Christi, Texas like INC Pest Control have reaped the benefits of a pest free environment. More and more companies that previously opted for a cheaper alternative are now hiring reputable companies as the associated long term costs are much lower in the face of a possible pest infestation. It can be quite challenging to talk about a business that has made its fair share of helping us build a better society. I honestly did not take it to heart when I realized people were having issues with getting a good home inspector. I assumed that they did not carry out their research before engaging a firm to work for them. With the benefit of hindsight, I am beginning to see things differently. Could there be something that we need to know to get it right in picking a good Louisville home inspection company? I will share my thoughts and allow you to make the call. My first encounter with ABI Home Inspection Services was based on the advice of a friend. He told me that he felt the company will be a good brand based on the number of years that they have spent in the industry. I did not expect so much from this organisation, but I noticed that they are decently priced. They did not make the home inspection service a complicated scenario. The job was handled on time, but I am something which is not easily WOWed by the efforts of any business. Another name is Advanced Home Inspections LLC which may be one of the most visible brands in Louisville. When he told he they are home inspectors that provide a guarantee I knew they were in a league of their own. I think they are a company that has the right professionals and their pricing is a good match based on the value that they give. The only thing that I may not do is to serve as their brand ambassador. All I can say is that they seem to be above the norm when compared with other organizations in the area. HomeMD Inspection Services is versatile, and they have a very upbeat marketing campaign. It may seem that they made this list based on their accomplishments through building a strong visibility. However, kudos must be given to their broad service range. They offer Termite/Wood-destroying insects home inspection, Full house inspection, etc. ; are decent prices. The company can do more but based on the results that they have produced thus far; I feel they can be termed a good brand in the market. Elite Home Inspections LLC is not on this list for anything out of the ordinary. They have simply mastered the art/act of customer service. This is why I feel that they deserved a worthy mention. This company is also one of the many that provides sample inspection reports. Some companies have been playing key roles in redefining the customer experience. This organization is one of them, and this makes them a leading player in their niche. However, if great customer service is not your thing, you can look at other brands to see if they have what you need. AAA Professional Home Inspectors LLC is one name that I wish I did not have to talk about. The truth is I am doing this piece because I noticed that people do not take the time to research a firm. This company has a work ethic that is impressive, but I am not too sure if their price is one of the best you can find. However, if excellence and great value are of high importance to you; then this organization has the answers to the questions in your heart. Choosing a career path that gives great benefits is one of the best decisions that anyone can make. A close look at the advantages of working as a Museum plumber will shed light on lots of unusual factors. This range of professionals enjoys job stability as well as secure work hours. Also, the social relevance and respect that the niche enjoys have been on the rise. There is an emergency plumber Brooklyn open 24 hours a day, but he said he is yet to make the amount museum plumbers make in a month. He stated that there are so many things that work in their favor and these are what we will discuss in the next lines. Their expertise is not commonplace: As much as many facilities have standard plumbing needs, a Museum is a place that is full of artifacts. It needs someone that pays close attention to details and truly has rich mastery of his job. In a recent interview conducted by a local media station, the Museum plumber said that their job is more about tact than just having the right technical skill. He stated that he had to understudy his boss for close to 6 years before he could start working on his own. The plumber advised anyone who wants to work in this industry to spend quality time growing under the tutelage of a Museum plumber. It requires having the right contact in certain circles: It is not any plumber that advertises his skills that will be approached to work in a Museum. It needs someone who has full awareness of the components and the people that run the museum. Most times, there must be a certain degree of trust before they are contracted to work on a given project. A notable company has continued to raise its profile through the numbers of jobs that it has completed. This Brooklyn emergency plumbing service recently announced that it would be spreading its business to other areas in the US. They make more money: One of the beauties of working as an expert is that you can make decent amounts of money with each project they carry out. Museum plumbers are in high demand, and this has caused the amounts they earn per hour to be on the rise. A recent study about these plumbing technicians (https://www.emergencyplumbingsquad.com/24-hour-plumber-near-me) showed that they are one of the highest earning plumbing professionals in the US. The report also revealed that they do not work so hard, but their job requires so much tact and precision. 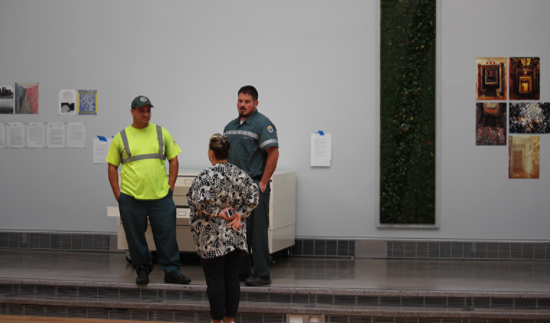 They have access to secured areas in the Museum: There are certain artifacts you may not ordinarily see which these professionals can easily access. By their job, they work in almost all the areas of the building. 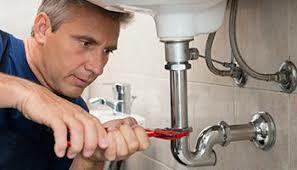 One Brooklyn emergency plumber stated that he would love to devote his service to this growing niche entirely. He mentioned that some of his colleagues who are Museum workers seem to have grown in many ways beyond what could be obtained by the conventional plumber. If you’ve been looking for an independent property inspector that you can depend on, you won’t go wrong with the team from Magic City Property Inspections. We work throughout the metro region from our home base near Birmingham, AL, and we’d love the chance to earn your business and your confidence. Appointments are available seven days a week, 7am – 7pm, so don’t hesitate to contact William Corbett and the staff of Magic City Property Inspections if you could use the services of a professional property inspector in Birmingham or a nearby community. We’re standing by to set up your inspection as soon as you call. • Is everything operational at this time? • How much longer will it continue to function properly? • Is the home safe? • Are the components installed in a professional and fully functional manner? • Are there deficiencies or signs of potential failure? Having a professional Milwaukee home inspector will give you peace of mind and assist you whether you are buying or selling a home. Our goal is to deliver the finest and most detailed home inspection at a competitive price. We have been serving home owners in Milwaukee for over a decade and we take pride in every inspection that we perform. We provide home inspections for all types of residences including condominums, single family homes, and multi-family homes. Marine City Museum has experienced a dynamic operating experience since inception. This is tied to many factors, but one of them is that we have a unique relationship with a leading company for dumpster rental in Brooklyn, NY. There is no way you can fully talk about our organization without talking about the role of this dumpster rental organization. There was a season where we consistently enjoyed a great influx of visitors, but this company was at hand to take care of the waste. We truly appreciate their professionalism, commitment and desire to keep delivering top notch service. Beyond the fact that they have enjoyed notable mentions in our newsletter over the years, they deserve continuous accolades for their dexterity. The owner of this company is a Long Island native named Corey Jeffries. He has one of the most remarkable success stories in the dumpster rental niche. In the early days of his business, he had to rent trucks and partner with other companies to be able to service his clients. This business came from nothing to become a successful dumpster organization which has grown to be a nationwide conglomerate. According to him, there were seasons when he wanted to give up, but he decided to keep pressing till he hits success. His focus paid off as many people have taken cover under his unique entrepreneurial abilities. The first time he held a meeting with Marine City Museum, he said that he would be one of the most important partners that will work for the success of the organization. This commitment was taken at face value but the years have proven that it was not mere talk. In the days when the company did not have many dumpster trucks, they never failed in coming to dispose of the waste. They consistently surpassed the expectations of the Museum, and this earned them multiple notable mentions when the Museum reviewed their activities for the year. It was after the fifth year of their working with the Museum that it was decided that the relationship will continue for as long as both organizations exist. A look at the activities of this group has shown that they are touching lives beyond the core operations of their business. They recently donated a large sum to a charity that takes care of children. This decision was made as a way of showing people that they have a human face and are committed to the good of everyone in the society. 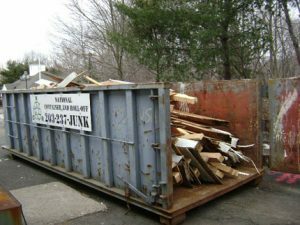 The Dumpster rental guys remain a brand that has earned positive reviews based on the excellent service that they offer. No one can fault their impeccable record because they are setting the pace in every range. Marine City Museum wishes to adequately thank this iconic organization for the fantastic service that they have given over the years. We believe that the future holds great promise. It is on record that no organization has been able to surpass our expectations like this dumpster business consistently. We know that this is just the beginning of great things; this team will keep reaching new heights based on the support and partnership of this dumpster organization. We gave this post a funny title. The answer should be very obvious to all of our readers, of course you need to do a home inspection. Whether or not you actually get a home inspector who is actually worth his salt, well that is a very different question. That is something that is going to take the proper amount of digging and research but we urge you that it is most definitely worth it. We would not have started this blog many years ago if we did no believe whole heartedly in what we do here at Marine City Museum. We hope you will come join us with our endeavor and read every important piece of information offered on this blog or otherwise.